Indie Designer Gift-a-Long: starting tomorrow! 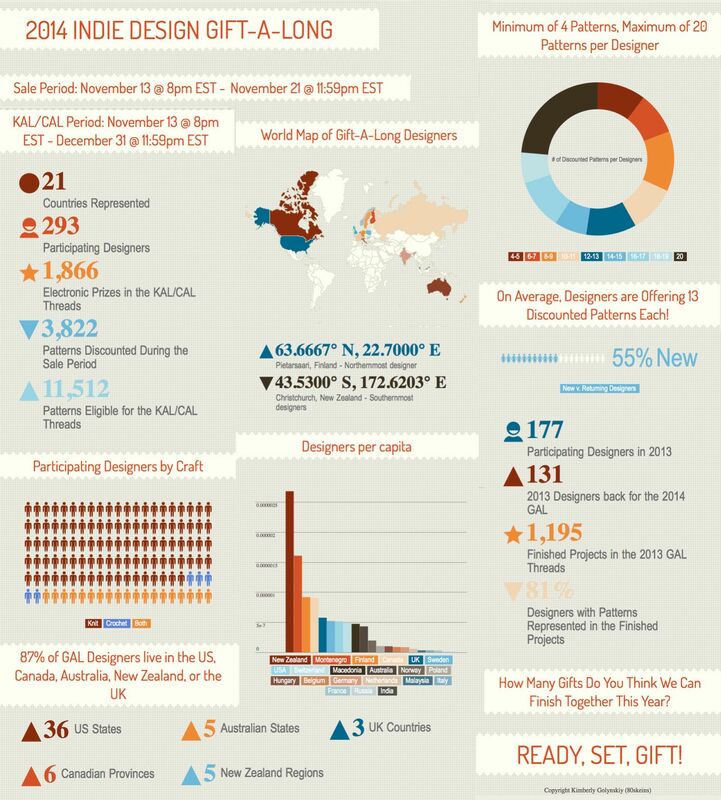 So have you heard about the Indie Designer gift-a-long over on Ravelry? It’s a 2 month long KAL / CAL using patterns from 293 independent knit and crochet designer from 21 different countries around the world. And the best thing is that each of these designers are offering from 4 to 20 patterns with a 25% discount for the next 9 days, that’s a total of 3,822 discounted patterns.